Not all PEOs are alike. So how do you choose the right one? There are more than 900 PEOs in the United States. What's the right one for your business? 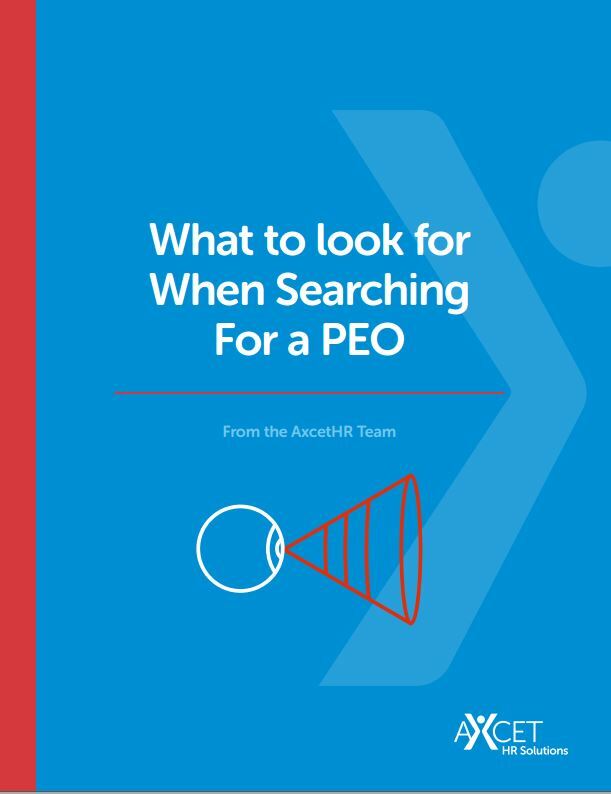 Our guide, What to look for When Searching for a PEO offers 8 tips to inform your search. What is the cost structure like? What certifications are relevant to demonstrate qualifications? Are they financially reliable? How can you tell? What to expect in the employee and employer experience. Help is available. Download this handy guide today.